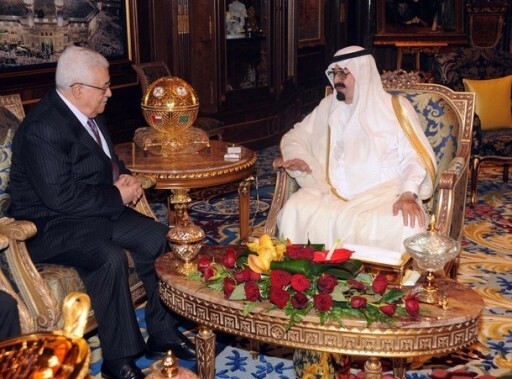 October 22, 2010 (KATAKAMI / FRANCE24 / AFP) – Palestinian president Mahmud Abbas held talks on Friday with King Abdullah that focused on the stalled peace process with Israel, the official Saudi news agency SPA reported. They discussed “developments in the Palestinian issue and efforts exerted to put the peace process back on the right path,” it said. The two leaders also discussed the “need for the international community to assume responsibility to achieve a just and comprehensive peace that would guarantee the Palestinian people’s right to establish its independent state on its national soil, with Jerusalem as a capital,” it added. 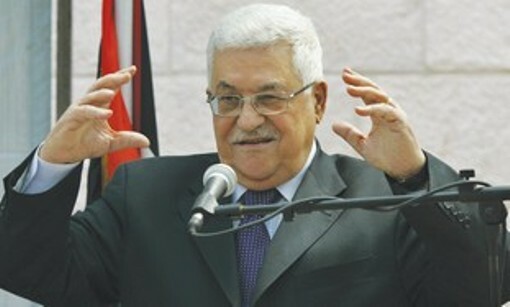 Abbas left Riyadh on Friday afternoon, the agency added. The diplomat pointed to Israel’s refusal to extend a moratorium on Jewish settlement expansion in the occupied West Bank and east Jerusalem that expired on September 26. On October 9, foreign ministers of the Arab League, in which Saudi Arabia plays a leading role, said they would wait one more month to see if the direct peace talks can be restarted. Since the settlement moratorium ended, Jewish settlers have begun building at least 600 homes, a pace four times faster than before the freeze began last year, the Israeli activist group Peace Now said on Thursday. (FILE) Prime Minister Benjamin Netanyahu of Israel (C), Palestinian Authority President Mahmoud Abbas (L) and U.S. President Barack Obama talk after they delivering remarks to the press following their individual meetings with U.S. President Barack Obama at the White House in Washington on September 1, 2010. 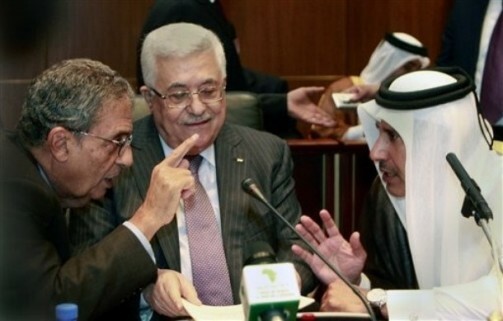 October 08, 2010 [KATAKAMI / RANTBURG /Al Arabiya] Paleostinian President the ineffectual Mahmoud Abbas signaled his intention to resign if US peace talks with Israel fail, a front man for the Paleostinian National Council (PNC) said Thursday. 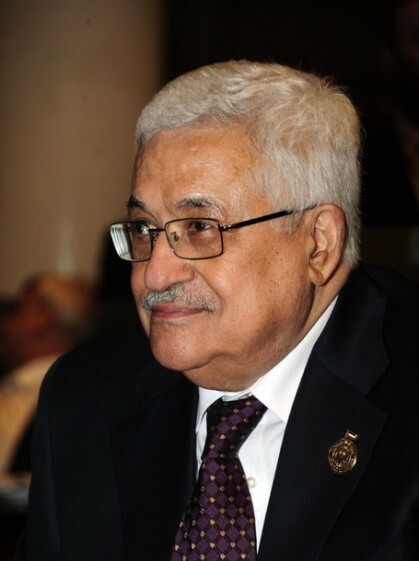 In a PNC meeting early this week, President Abbas said, “I may be sitting on this (presidency) chair only for another week,” according to Khalid Mismar. A senior Paleostinian official said on Thursday he saw no hope of a serious peace processor with Israeli Prime Minister Benjamin Netanyahu, in some of the darkest comments to date on the U.S.-mediated talks. Yasser Abed Rabbo’s remarks signaled deep Paleostinian skepticism about the outlook for the talks, which began on Sept. 2 but have been on hold since an Israeli moratorium on new settlement building in the West Bank expired last week. “There will be no serious political process while Netanyahu’s government pursues settlements,” Abed Rabbo told Voice of Paleostine radio. Netanyahu, who heads a cabinet dominated by pro-settler parties, including his own Likud, has said he will not extend the freeze which his government had enforced for 10 months. Abbas and Netanyahu met three times before the end of the moratorium. The Paleostine Liberation Organization (PLO) said on Saturday talks would not resume until Israel halted settlement building on land where the Paleostinians aim to found a state. 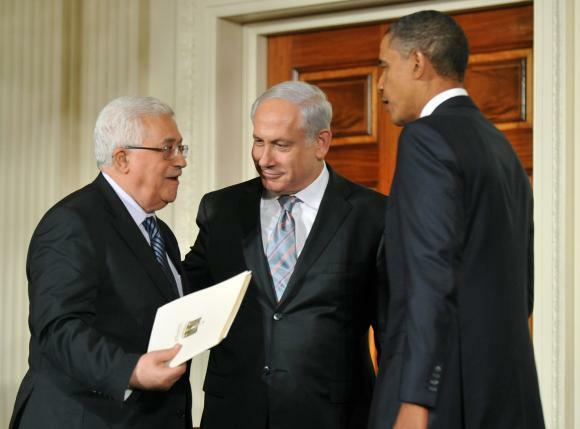 The United States and European Union had called on Israel to extend the settlement freeze. The expiry of the moratorium had been seen as an early obstacle facing U.S. President Barack B.O. Obama’s push to end the six-decade-old conflict within a year.